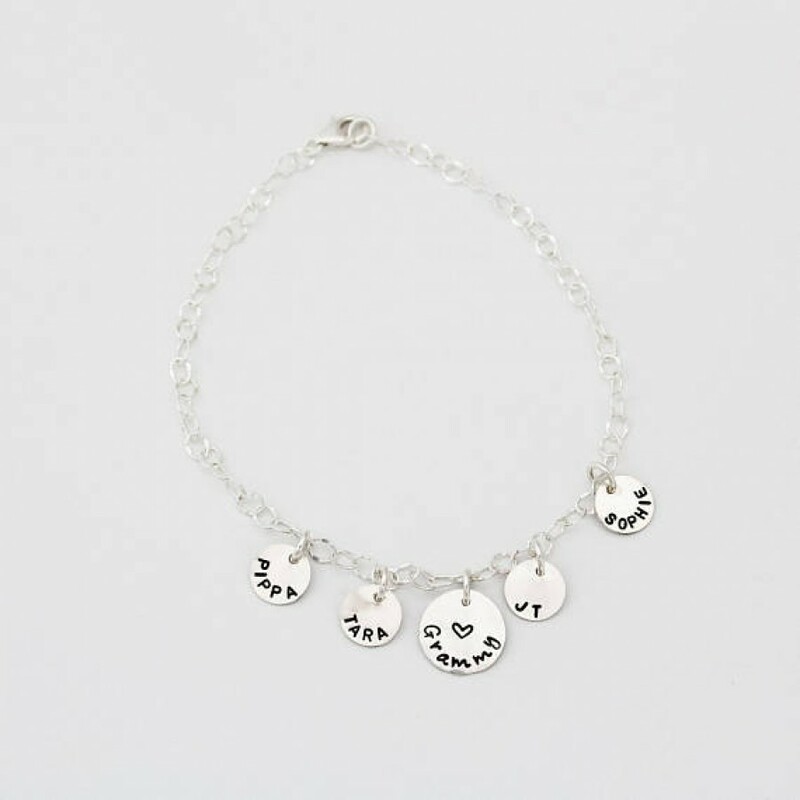 Don't want a necklace or bracelet? 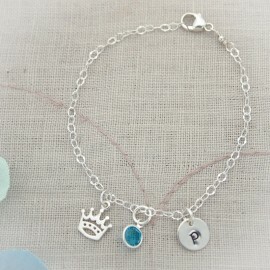 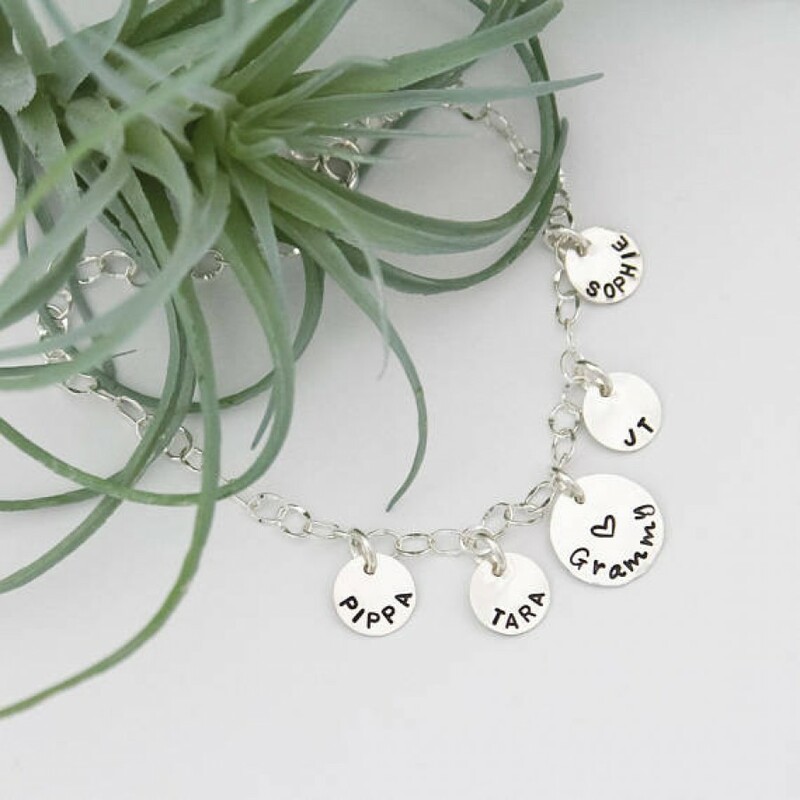 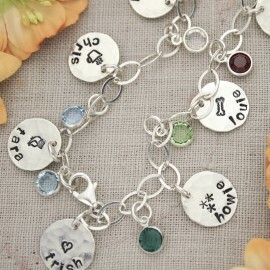 How about this delicate anklet for mom or grandma, personalized with your loved one's names. 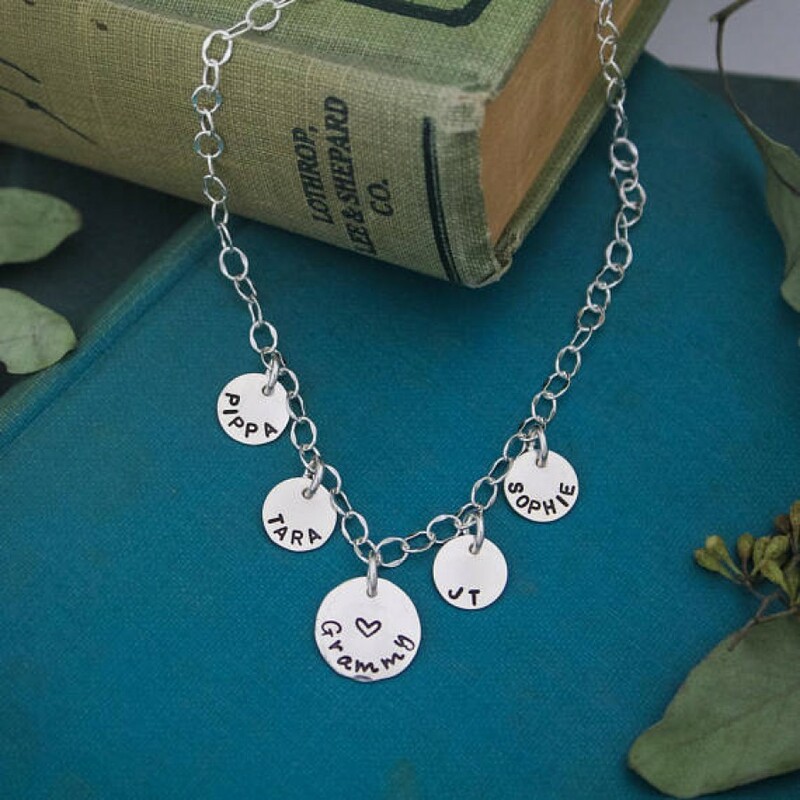 Centered on a sturdy link chain, is a 1/2 inch hammered disc, hand stamped with a name or word of your choice. 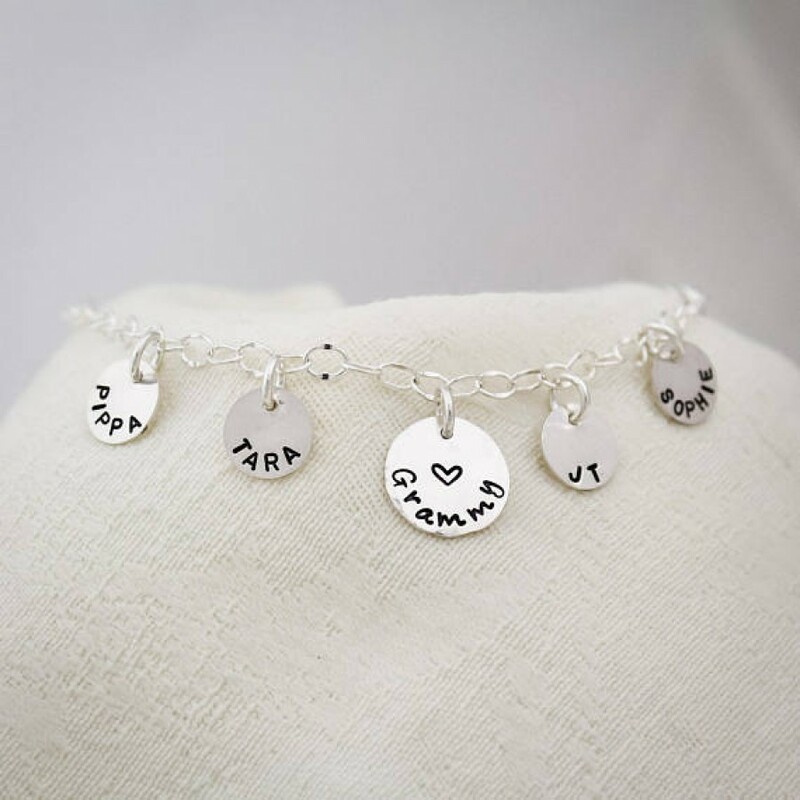 Surrounding the discs, are 3/8" sterling silver discs with names. Sterling silver anklet chain is finished with a sterling silver lobster clasp. 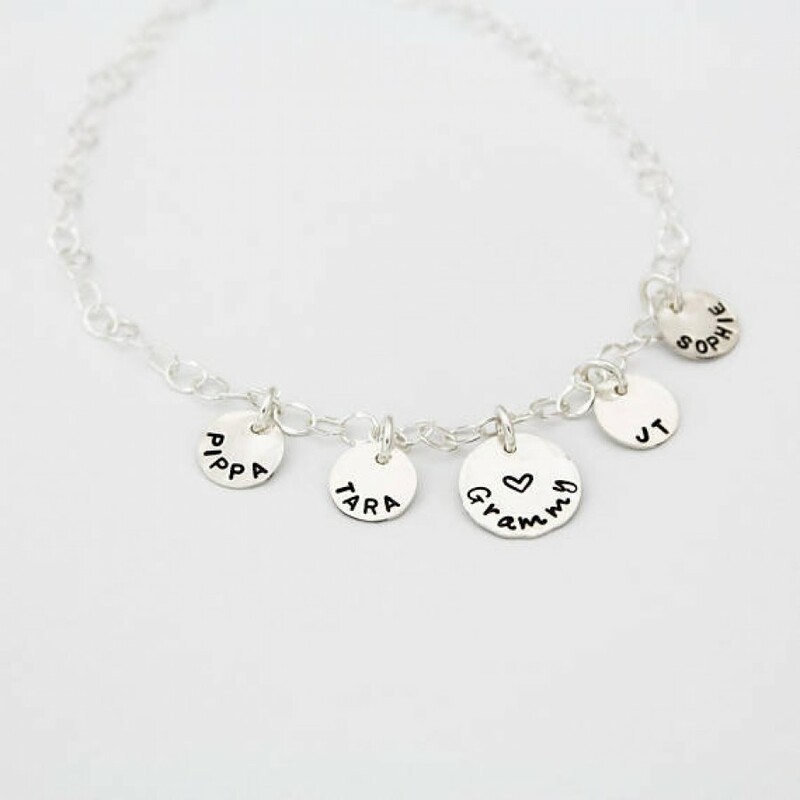 All charms are attached with 6mm sturdy sterling silver jump rings.